Update to my Sigma Mil-Diver w/date, temp, atmospheric pressure in ATMs, GMT, stopwatch, and batt level. Hack and hands sweep at centerpost. Touch lock sub dial at 4. Minutes hand serves as SW minutes, and Hours hand as SW hours when SW function is on. Current tune displayed in subdials while SW function on, and top dial is GMT otherwise. 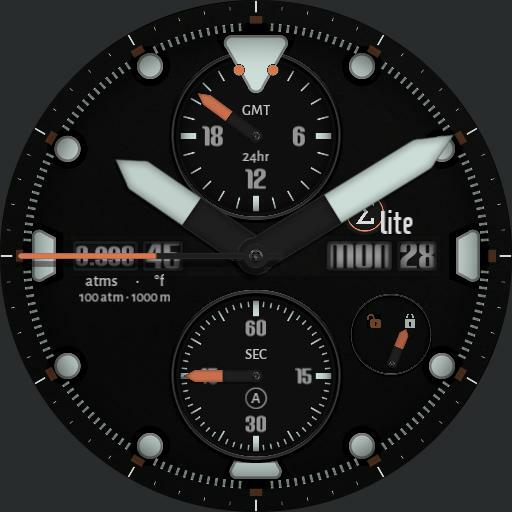 Seconds hand displays battery level on AOD.